A Pastor's Thoughts (Fr. 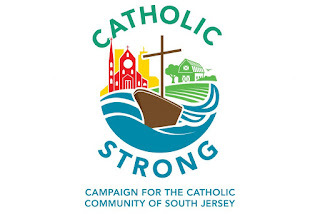 Ed Namiotka): Preparing for "Catholic Strong"
In the months ahead, you are going to hear much about our diocesan wide campaign called Catholic Strong. Essentially each parish is being asked to assess the future needs of the parish, develop a strategic plan and to conduct an initiative to meet those needs. We are being aided by Changing Our World, an organization chosen by the bishop and the diocese to accomplish this task. The plan will look at various needs of our parish including enhancing the necessary ministries and programs, maintaining our current facilities, funding capital projects, reducing parish debt, and planning for the future. The remarkable aspect of this program is that 70% of all the money raised remains right here in the parish. Most campaigns of this nature place a much greater emphasis on diocesan programs and initiatives while Catholic Strong is intended to strengthen the parish—our parish! We have begun assessing our various needs here at Holy Angels. As I wrote previously, I have prioritized funds to help us with evangelization and outreach to young adults and their families. I think it is urgently needed. We also must look at our many aging buildings needing repairs (roofs, sidewalks, heating/air-conditioning units, etc.) We plan to renovate our recently purchased property (81 Cooper Street) to consolidate most of our offices in this one central location. Creating a reserve fund to prepare for the unexpected is also on the list. We will need volunteers to help with the workload. Parishioners will be needed for various tasks ranging from clerical work to actual solicitation of homes and families. If you would like to hear more about what you can do, please call the parish office. We will try to find you a task to suit your abilities, comfort level and area of expertise. Most importantly, please start praying now for the success of Catholic Strong in our parish. If there is something that everyone can do to help, it is pray. Remember this initiative is about the future of our parish. We will have more details in the weeks ahead. Stay tuned!